HD has been engaged in Somalia since 2007 in a range of capacities, including facilitating dialogue on civilian protection and humanitarian access as well as providing advice to the United Nations Political Office for Somalia (UNPOS) and the parties in the Djibouti peace process in 2008 and 2009. Since 2012, HD has focused on facilitating dialogue with the Government in Mogadishu and federal administrations, to promote cohesion and stability as well as peaceful, transparent and credible election processes. In 2012, at the request of the Transitional Federal Government (TFG), HD drafted the first Stabilization Programme document for south-central Somalia. The organisation also supported election processes in Somaliland and Puntland. More recently, between mid-2015 and early 2017, HD was engaged with the National Leadership Forum (NLF) which brought together the Federal Government of Somalia (FGS) and federal administrations to promote shared views on the country’s successful transition to democracy and to reduce political disagreements. The NLF was also tasked with running credible elections in 2016-2017 and implementing parts of the provisional Constitution. The Djibouti process took place from mid-2008 to early 2009 and was a breakthrough in the long struggle towards an inclusive, and durable, Somali Federal Government. At the time, the internationally-recognized TFG had tenuous control over limited territory. The TFG’s main opposition in south-central Somalia was the Islamic Courts Union (ICU), a loose affiliation of Somali Islamist groups which had managed to bring limited stability to the areas it controlled. The ICU itself had split into several factions, the more militant of which would become Al-Shabaab. Other groups, whose first priority was the withdrawal of Ethiopian forces from Somalia, gathered in nearby Eritrea and Djibouti and formed the Alliance for the Re-liberation of Somalia (ARS). The Djibouti process, led by UNPOS, aimed to bring the TFG and the ARS together to help them agree on a power-sharing agreement. UNPOS understood that the TFG would only be considered legitimate if it was inclusive and capable of addressing numerous clan and ideological interests. The previous attempt at establishing Somalia-wide governance – the Transitional National Government (2000-2003) – had been completely ineffective and eventually collapsed due to internal disagreements, inefficient decision-making, and a failure to convince other stakeholders to join its efforts. UNPOS needed outside support and technical expertise to give the process a chance of success. HD was well-positioned to provide such support due to its impartiality, flexibility, and extensive experience with sensitive mediation processes. The organisation had already hosted a roundtable discussion in 2008 between UNPOS and major NGOs operating in Somalia. At the time, there was a lack of communication and trust between them due to the sensitivities surrounding aid. HD’s roundtable re-opened communications between them and contributed to information-sharing on challenges on the ground. The success of the roundtable also gave UNPOS the confidence to call on HD for assistance in Djibouti. The Djibouti process was very successful, producing a power-sharing arrangement that merged the existing TFG and ARS. The Djibouti Agreement was formally signed on 18 August 2008 and included agreement on a cessation of hostilities as well as the withdrawal of Ethiopian forces from Somalia. The head of the ARS was elected to the TFG presidency and the TFG parliament doubled in size to accommodate both ARS and other stakeholders. HD provided technical support throughout the process to ensure the agreement would be legal, implementable and understood by all the parties. This was particularly important in view of the immense pressure on all sides to come to an agreement. The Djibouti process set a precedent in Somalia for a political rather than a military solution to conflict and this later proved useful when convincing leaders that engaging in dialogue with other groups could be worthwhile. 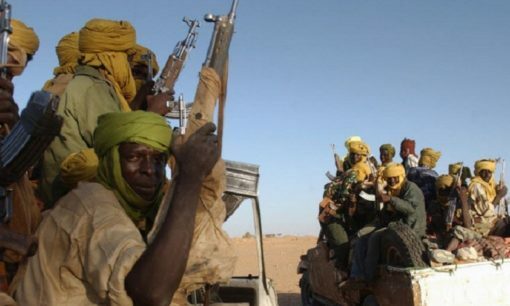 The period following the Djibouti Agreement was challenging, with Al-Shabaab gaining significant ground in the wake of the withdrawal of Ethiopian forces as there was no systematic plan for handing over control of vacated regions to either the TFG or any other governing authority. The TFG was also experiencing upheavals and leadership changes. During this time, HD continued to maintain connections with leaders within the TFG and other key actors. These connections were critical as the TFG’s relationships with the UN, NGOs, and international donors were becoming strained. HD’s regular visits to Somalia were also important because of the fragmented nature of the TFG and allowed HD to maintain relationships with all sides. In 2011, HD began to lobby the TFG leadership on the need to draft a reconciliation and stabilization plan for areas of south-central Somalia before they were liberated from the Al-Shabaab, in order to avoid creating another vacuum. HD met TFG officials to discuss this idea and, later in the year, the TFG Prime Minister formally requested HD’s assistance in drafting a plan. Following HD’s advice, the Prime Minster also established a National Steering Committee (NSC) responsible for the stabilization project. HD assisted the NSC to present the plan to international donors and the United Nations where it received a largely positive response. Following donor feedback, HD and the NSC worked together to refine this plan, separating the newly-liberated area into three zones which required slightly different approaches. Implementation of the plan was, however, hampered by the caution of donors about the transition in government in 2012. By 2011, the TFG had extended its mandates several times, eroding its legitimacy and frustrating the international community. A plan was needed for selecting the TFG’s successor government and UNPOS supported this by sponsoring a series of consultative conferences. These conferences were structured to avoid the mistakes which had brought down the Transitional National Government years earlier – including failing to include key stakeholders outside the inner governing circle. Due to the complexity and delicacy of the talks, UNPOS asked HD to act as facilitator and moderator for several of these conferences. The first was the Political Consultative Conference for Parliamentarians in September 2011 which led the parties (the TFG Executive, the TFG Parliament, the government of Puntland, the Galmudug regional entity, and Ahlu Sunna Wal Jamma [ASWJ]) to agree to adopt a Transitional Tasks Roadmap, as well as meet for follow-on conferences to decide further principles and details. As a result of this success, HD moderated a “Civil Society Consultative Meeting on Ending the Transition” which was organised by UNPOS in November 2011 to respond to civil society demands for input into the process. This brought together religious leaders and clan elders as well as representatives from the business community, the diaspora, youth and women’s groups, and it produced impressive results. Participants endorsed the Roadmap and proposed that civil society play a major role in its implementation. HD also worked on the sidelines of the final two conferences, held in Garowe, Puntland in late 2011 and early 2012. The process led the most significant parties to sign up to the “Garowe Principles” which, along with the Transitional Tasks Roadmap, would guide the rest of the transition period. HD’s low-level but consistent engagement in Somalia, its network of connections among participants and their allies, combined with its outsider status, allowed it to mediate between different factions. Its presence was critical in overcoming obstacles encountered during the conferences. After decades of instability, Somalia has been undertaking a process of state ‘re-formation’. Following years of civil war and two transitional governments, the Federal Government of Somalia (FGS) was inaugurated in 2012 with a mandate ending in 2016. With limited time before elections in 2016, the FGS focussed on what needed to be done to fulfil the provisions of the Provisional Constitution on constitutional review as well as the establishment of federal administrations/states and requisite state institutions across Somalia. These goals were in line with the governments Vision 2016 – which outlined the government’s priorities, including reviewing the provisional constitution, forming regional administrations, and establishing democracy across Somalia. As per Articles 49 and 50 of the Provisional Federal Constitution, a number of “Federal Member States” existed in the last couple of years, while others have emerged more recently. This situation has created momentum for local ownership and the need to address key federal questions and issues in Somalia. In February 2015, in order to engage the Federal Member States in a productive manner, the President Hassan Sheikh invited the leaders of Jubaland, South Western State, and Puntland for a consultative meeting in Mogadishu . As a result of this meeting, the leaders issued a communiqué launching the National Leadership Forum (NLF) with guiding principles for co-operation towards state formation and a federal system. The NLF, a Somali-led and Somali-owned initiative, was unique among previous attempts to decide governance relationships in Somalia which presented a window of opportunity to address critical issues facing Somalia. Led by President Hassan Sheikh, the NLF aimed to promote shared views on Vision 2016 among national leaders and reduce political disagreements. A National Consultative Forum (NCF) was also established to focus on the electoral model for national elections initially scheduled for August 2016. The NCF included NLF members, representatives from regional administrations, Members of Parliament, federal and regional ministers, civil society representatives, and international representatives as observers. HD secured official mandate to provide technical support to both the NLF and the NCF. 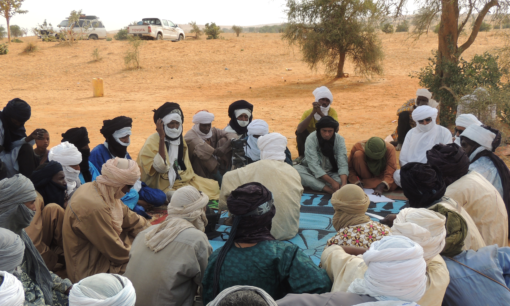 HD convened NLF technical committee meetings and moderated decision-making meetings between the leaders of the NLF. 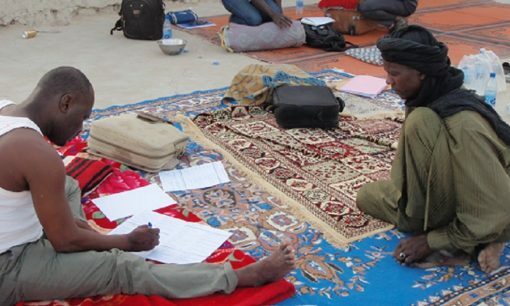 In 2010, HD held a roundtable to help Somali and international actors overcome obstacles to humanitarian access by bringing them together with humanitarian actors who had operated under similar constraints in Afghanistan. The roundtable not only promoted an exchange of ideas, it also served to improve understanding between representatives from Somaliland and the rest of Somalia, who had rarely interacted. In 2011, HD held another roundtable in response to the humanitarian crisis created by the year’s historic drought. This was attended by UNPOS and other UN agencies – including the World Food Programme – as well as six NGOs. It helped them agree on a common approach to the crisis. Somaliland has been the most stable area of the country since the outbreak of the Somali civil war, with the strongest democratic institutions and ability to provide for its citizens. Successive Somaliland governments have also made a concerted, and largely successful, effort to prevent the spread of religious extremism in their region. However, elections in Somaliland have always been periods of instability. 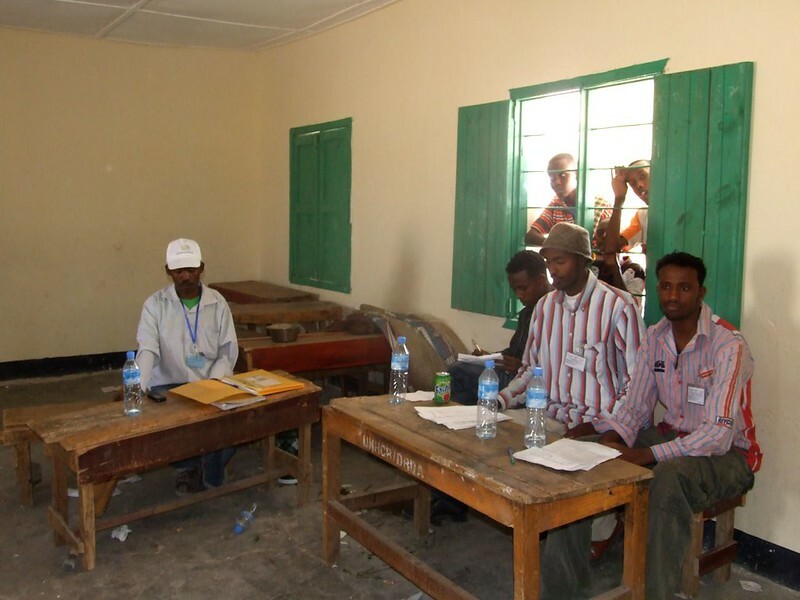 HD began supporting peaceful elections in Somaliland in 2009, providing election administration training to the Somaliland National Election Commission (NEC), the judiciary, and the police. HD worked with the NEC to produce an electoral dispute resolution mechanism and engaged in shuttle diplomacy between the parties and with regional actors with the potential to influence the election outcome. HD also partnered with the Electoral Institute of Southern Africa to train and deploy 600 community mediators to diffuse local conflicts in the run-up to the elections. HD was later asked by the Somaliland government and international donors to provide assistance to the November 2012 local council elections. These were challenging as there were roughly ten times as many candidates as available seats. HD worked with the NEC, the Registration and Approval of Political Parties Committee (RAC), and the political parties/associations in advance of the elections. HD helped establish a consultative forum involving the NEC and political parties/associations, and established an agreement between the parties/associations on the way the elections would be conducted. HD also established a complaints processing system which could be used to settle disputes during the elections. 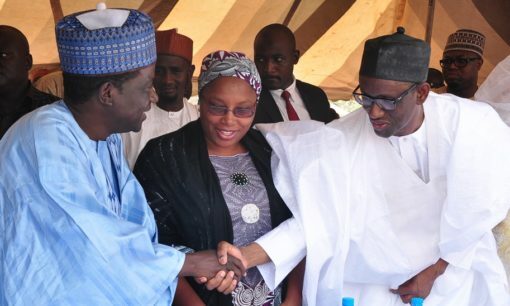 The organisation focused its support on building the capacity of NEC staff, the judiciary, and the RAC, to increase cohesion and improve behaviour between political actors involved in the elections. The elections were held in late 2012, with positive reports from international observers. Two years later, Somaliland was due to conduct a general election in line with the five-year term prescribed in the constitution. However, the NEC shifted the elections to June 2016 on the basis that the law stipulated elections could only be held six months after the completion of the voter register and it was only be able to do this by December 2015. Just a few days after this announcement, the upper house of parliament (or Guurti) unilaterally announced a two year-extension of the current government’s term, including a postponement of the general elections to April 2017. This prompted widespread popular protests (and arrests of protestors) across Somaliland. However, democratic gains made by Somaliland were boosted when the ruling party and the main opposition bloc later signed an agreement for parliamentary and presidential elections to be held in December 2016. However, the Guurti created a further crisis when it announced its decision was final which resulted in another standoff and more confusion. HD is currently engaging in behind-the-scenes tension management between key political actors in Somaliland to help resolve any issues arising ahead of the scheduled general elections in 2017. In 2013, HD received a request from the donor steering committee (DSC) funding the local council elections in Puntland and carried out a mission to assess the situation ahead of these elections. HD later facilitated sessions for the DSC in order to provide updates on the political situation, discuss possible conflict scenarios in the lead up to the elections, and actions to mitigate them. HD also sent teams to provide technical advice to the Transitional Puntland Electoral Commission (TPEC) and engage with political leaders ahead of the elections. These elections were scheduled for July 2013 but were indefinitely postponed by the government on the eve of the elections owing to violence in parts of the country which posed a serious security risk. HD would like to thank the Government of Sweden through the Swedish International Development and Cooperation Agency (SIDA) and the Swedish Ministry for Foreign Affairs, as well as the Ministry of Foreign Affairs of the Netherlands for their long-term support to this programme. HD would also like to extend its gratitude to the United Kingdom’s Department of International Development and Foreign and Commonwealth Office, as well as to the European Commission through the European Union Delegation in Nairobi, and the Federal Republic of Germany who have also played a key role in supporting the HD Somalia programme.